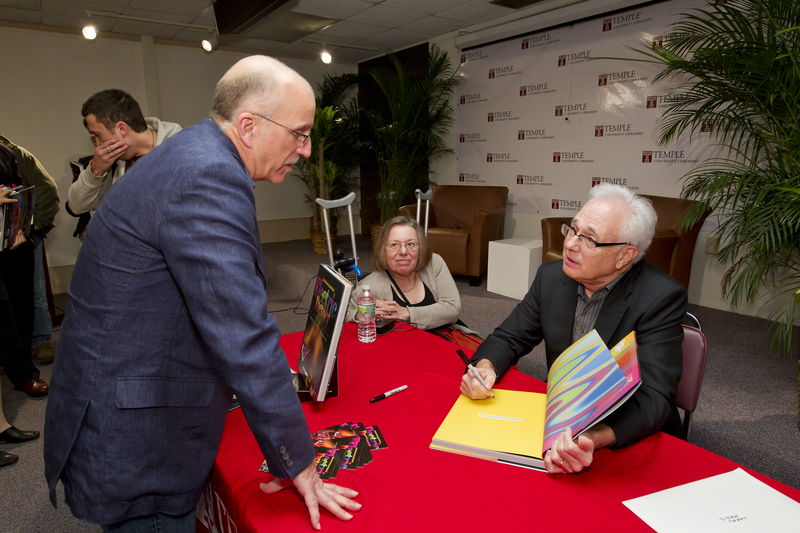 Douglas Stark, author of The SPHAS, describes an earlier period in basketball history, when collective bargaining, salary cap and revenue sharing were not in the vocabulary. At this time of the year, football dominates the water cooler conversation as we head into late fall and early winter. Did you see that game yesterday? Can you believe that bad call that cost the game for that team? How did your fantasy team do? From the serious to the casual fan, football is an indelible part of how we spend the fall. Everyone is a Monday morning quarterback. For me, this time of year always signals the beginning of the basketball season; one that starts in early November and goes through June (hopefully if my Boston Celtics are still playing). My body clock seems to wake up in mid-October as NBA training camp starts. A new season is just around the corner. This year the conversation centers on the collective bargaining sessions between the NBA owners and players union. Instead of hearing about the surprise player in training camp or whether the team’s defense will improve, the news is about salary caps, revenue sharing, and the cancellation of games. Ultimately it is about how to split a lot of money equitably. These conversations are part of the sporting landscape in the twenty-first century and no sport is immune. My hope is that these talks can be resolved shortly and everyone’s attention can turn to the game and the players. In recent weeks, my mind has wandered to an earlier period in basketball history when collective bargaining, salary cap and revenue sharing were not in the vocabulary. I have been thinking about the game’s pioneers, most specifically the SPHAS. 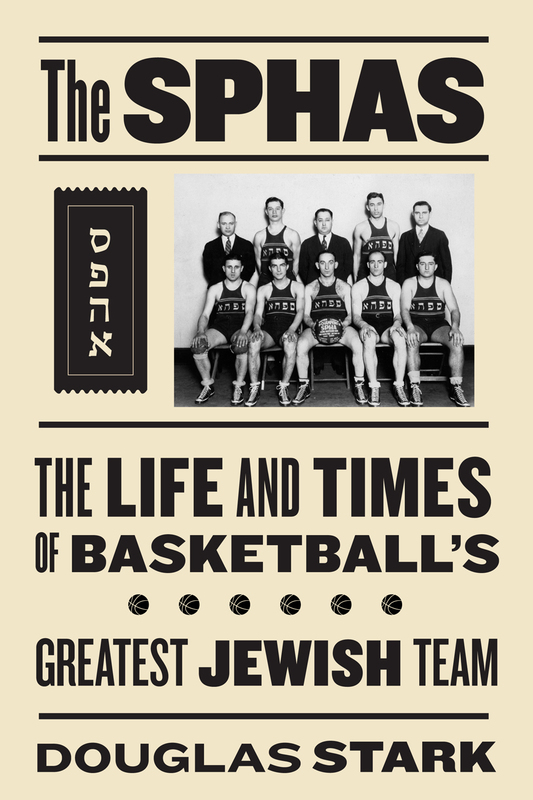 The SPHAS, South Philadelphia Hebrew Association, were born in 1918 as a club team and continued playing until 1959. The team’s growth paralleled the development of the game from a club sports to barnstorming to professional game. The team’s best years were in the 1930s. The team was all Jewish then and overcame the Depression, anti-Semitism, and a World War to propel the game’s growth to a new generation. As one can imagine, the business of basketball eighty years ago was different. The SPHAS often carried seven players during the season. NBA teams routinely have 15 players under contract. Eddie Gottlieb was the coach, manager, General Manager, and general overseer of all things SPHAS. Contrast that to today when NBA teams have 5-7 assistant coaches sitting on the bench. One is focused on offense, one on defense, one monitors the clock and player foul situations, and one works with the big men and another is focused on the guards. Today the game is highly specialized. Travel was certainly different. The SPHAS either all piled into Gottlieb’s car or took the train. It was not until the 1950s that NBA teams starting flying. Each NBA team today has a private airplane outfitted with plush seats, televisions, and full service dining. NBA players never see their luggage as they are transported from one city to another. The money was different then. Very different. Gottlieb signed the players to one year contracts. He paid the players per game. When Joel (Shikey) Gotthoffer started playing for the SPHAS in 1933-1934, he made $35.00 a game. Ten years later, he was one of the highest paid players at $100.00 a game. Gottlieb had a habit of playing his players in cash before the game. If they lost, he had a harder time paying up. As many of the players noted, Gottlieb always kept his word and paid his players. Earning money playing basketball was a bonus, a little extra spending money the players could take home to their families. They could not earn a living playing basketball and many had full time jobs to support themselves. It is why the games were played on the weekend. And because these early leagues were weekend leagues, teams did not practice as much as they do today. Players played on their own merits and if a player was not doing his job properly, he was taken out and replaced. The team was the focus. Players passed the ball around until a good shot materialized. Bad shots were frowned upon. Played were expected to keep their opponents from scoring. It was a different game, but as the NBA owners and players work toward an agreement, hopefully they will take a moment to pause and remember the game’s pioneers like the SPHAS who made today’s game what it is. 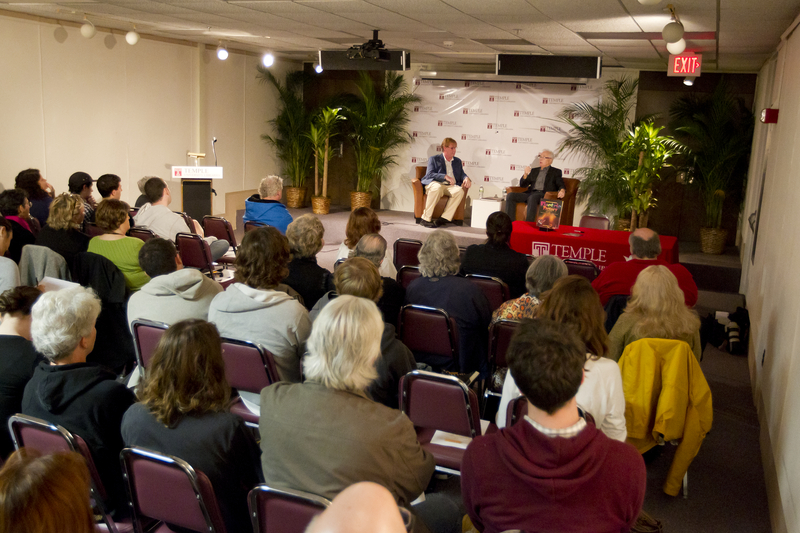 Last week, Larry Magid, author of My Soul’s Been Psychedelicized spoke to a capacity crowd at Temple University’s Paley Library. 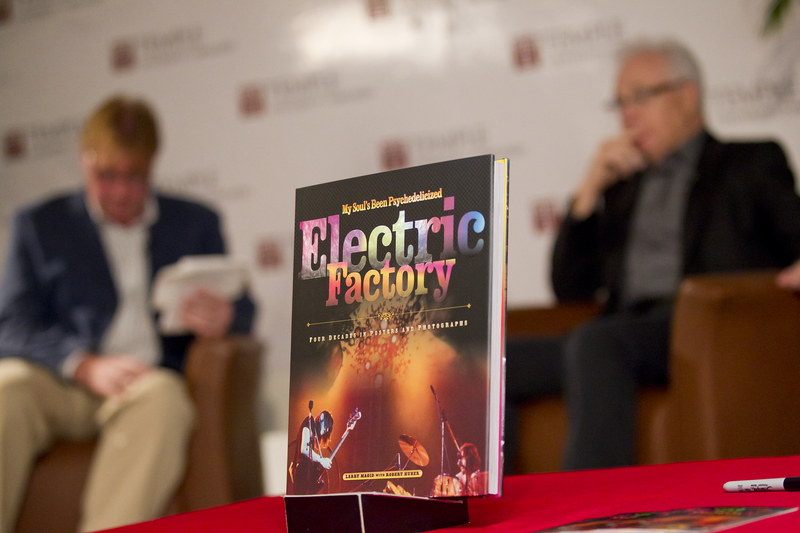 WRTI’s Jim Cotter interviewed Magid about his career, which spans five decades and thousands of concerts. 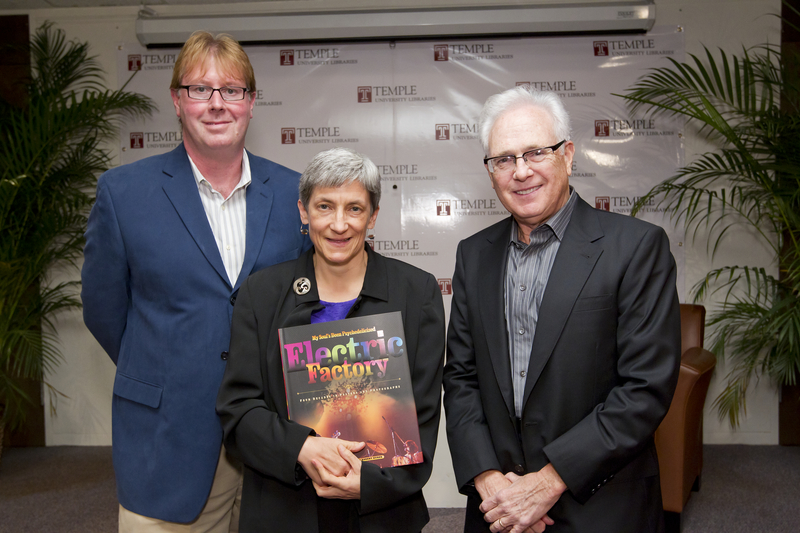 Temple University staff photographer Joe Labilito captured the event in these photos.